I am sending this issue with great gratitude to all of our readers who made it possible for us to celebrate this fifth anniversary. We look forward to the next five years of serving you and bringing you news on the background screening industry. Our goal is to be your news and information source. In our October edition we ran a story about Equifax no longer providing credit information for employment screening purposes. Based on input from several of our readers that are Equifax clients notifying us that they were still receiving credit reports we went straight to the source. Equifax stated that there has been no change in their service of providing credit information for employment screening purposes. We apologize for any inconvenience that this article may have caused. Also I am very excited that the International Committee of NAPBS which I co-chair with Bob Capwell is on the brink of achieving one of its key goals which is to create an international network of background screening firms around the world. We are close to forming chapters in APAC and Europe. Stay tuned for an announcement from NAPBS. Last, but my no means least, a personal announcement. I am getting married on December 3, 2009 to the lovely Terri Harrison who is a neo natal nurse. I figured that if she could put up with babies all day long she probably could put up with me. Thanks again for all of your support and stay safe over the holiday season. Eyal Ben Cohen, Managing Director, Verifile Limited, a leading background screening firm in Europe, announced the release of the ‘Accredibase Report.’ Alarmingly, the US was found to be the world’s fake college capital. The Report indicates that 810 diploma mills have already been identified in the US and many more still are under investigation. The world’s second biggest concentration of fake colleges is in the UK, the Report exposes 271 bogus institutions, making the UK the center of Europe’s bogus colleges scam. ZeroChaos, a global workforce solutions company headquartered in Orlando, announced its acquisition of Checkpast, an established leader in the employment screening industry. Founded in 1992, Checkpast is nationally known for its innovative background research approach and its commitment to accuracy, quality, and efficiency of screening solutions. In 2009, the firm provided background, drug, and other screening solutions for more than 1000 companies throughout the U.S. “Today employment screening is critical. It is smart business. The upfront investment to understand a candidate far outweighs the risk and cost of a bad hire,” said ZeroChaos CEO Harold Mills. Sterling Infosystems Acquires Abso Inc.
TrendSource, Inc., the industry leader in Compliance and Business Intelligence Services, announced today their acquisition of Vision Compliance Inc., a recognized industry leader in on-site physical inspection and credit bureau compliance services. The company provides comprehensive compliance solutions to a variety of leading credit resellers, background and tenant screening providers. Together, they have the proven expertise and resources to take credit bureau compliance to the next level, and better serve the nation's growing need to protect consumer data. TrendSource is a “Best in Class” company; with the unique distinction in the industry for being ISO Certified for Quality. 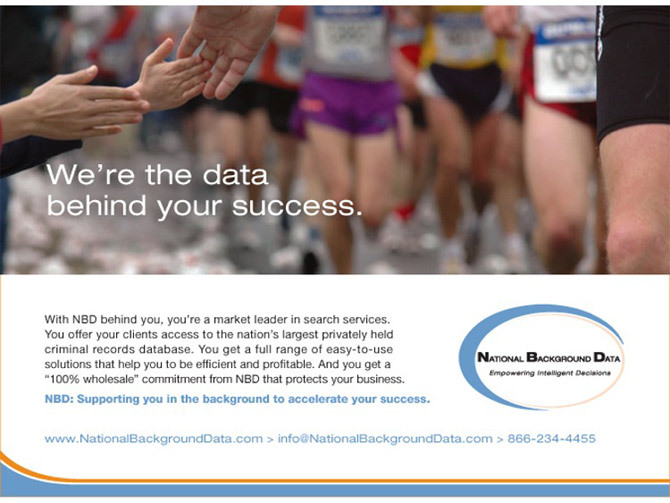 As an active member of the National Association of Professional Background Screeners (NAPBS) as well as the National Credit Reporting Association (NCRA) TrendSource has helped to set the industry standards, and developed an impeccable reputation for delivering the highest quality of service over the past 20 years. “The acquisition of Vision Compliance supports our commitment to being the leading provider of high quality compliance solutions” said Scott Cranford, Vice President of TrendSource. ”Part of our long term growth strategy is to identify and acquire companies that are proven industry leaders, who are a great cultural fit, and share a unique commitment to provide complimentary services that bring measurable benefit to our customers." In which of the following scenarios does the Fair Credit Reporting Act arguably not apply? A. Where a screening company provides a background screening report about a job applicant to an employer post-hire. B. Where a screening company provides a background screening report to an end-user for a non-employment purpose. C.	Where a screening company provides a background screening report directly to the consumer that is the subject of the report and to no-third party. D. Where a screening company provides a background screening report to a non-profit organization. Manufacturing and service-sector companies plan to hire in December, a turnaround from their plans in the same month a year ago, according to the leading indicators of national employment report released by the Society for Human Resource Management. A survey for the report found that 28.2% of manufacturing companies plan to hire in December while 17.5% plan to cut staff for a net increase of 10.7%. This compares to a net decrease of 10.9% in December 2008. In the service sector, a net 18.8% plan to add staff in December compared with a net decrease of 9.1% in December 2008. The SHRM report is based on a survey of private-sector human resource professionals at more than 500 manufacturing and more than 500 service-sector companies. According to the global Manpower Employment Outlook Survey results released today by Manpower Inc. (NYSE: MAN), job seekers across most of the Asia Pacific region should start the new year with employment opportunities similar to those seen prior to the global downturn; Indian employers are reporting the strongest hiring plans globally. Meanwhile, employment prospects in the Americas remain muted but are generally improved from three months ago. In the U.S., employers are more optimistic than three months ago, but are still forecasting the weakest first-quarter hiring pace since 1982. Across Europe, hiring sentiments are mixed with employers in eight countries indicating modest improvements compared to three months ago. The U.S. House of Representatives approved legislation Dec. 8 requiring data brokers to establish procedures to verify the accuracy of information that identifies individuals in their databases and to allow consumers to access and request correction of incorrect information. The Data Accountability and Trust Act, approved on a voice vote, would also require data brokers to provide nationwide notice in the event of certain security breaches. The legislation now moves to the U.S. Senate. The bill also authorizes the Federal Trade Commission to establish a standard method or methods for destroying obsolete non-electronic data in addition to requiring data brokers to submit their security policies to the FTC in conjunction with a security breach notification or on FTC request. If a breach occurs, the legislation mandates the FTC to conduct a security audit of the data broker. Three of every 1,000 urine tests performed on job applicants and employees showed up positive for cocaine, while hair testing showed cocaine use in 32 of 1,000 samples. For every methamphetamine, 1,000 urine sample resulted in one positive test, while the same number of hair samples resulted in nine positives. Quest’s reason for the higher number of hair-tests positives: Hair samples tend to show drug use going back further than urine samples — typically 90 days vs. one to three days. Conforming Products List of Screening Devices that Conform to the Model Specifications for Screening Devices to Measure Alcohol in Bodily Fluids. The National Highway Traffic Safety Administration published in the Federal Register today the "Conforming Products List of Screening Devices that Conform to the Model Specifications for Screening Devices to Measure Alcohol in Bodily Fluids." Your Sales Opportunities As The Economy Turns Up! Kroll, the world's leading risk consulting company, announced that it has reorganized its Business Intelligence & Investigations practice into two primary geographies, naming Robert Brenner vice president, Americas and Thomas Hartley vice president, Eurasia, effective January 1, 2010. Brenner and Hartley will drive Kroll's relationships with corporations, law firms, financial institutions, government agencies and individuals to deliver fully integrated, best in class service across the company's diverse client base. 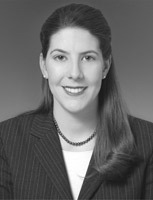 Based in New York, Brenner will oversee Kroll's business throughout North and South America. Hartley will guide Europe, Middle East, Africa and Asia Pacific from Kroll's London office. Tim Whipple, president of Kroll's Consulting Services Group, said, "Our clients are tackling opportunities and threats in an increasingly global context. The changes we're announcing today maximize Kroll's ability to support them around the world, through greater focus on their needs and better marshalling of our internal resources. Bob's and Tom's proven leadership will help drive growth for our business, our people and our clients." APEC Ministers in September 2007 endorsed the APEC Data Privacy Pathfinder at their meeting in Sydney, Australia. APEC Pathfinders are cooperative projects among members that should result in benefits to all APEC members. No economy opposed the Data Privacy Pathfinder, and thirteen APEC members agreed to actively participate in developing through the Pathfinder a framework known as the “APEC cross-border privacy rules system” that will ensure accountable flows of personal information across the APEC region. In 2008 three additional economies agreed to actively participate in the Data Privacy Pathfinder, taking the total to sixteen (of the twenty-one member economies).Work on the Data Privacy Pathfinder is taking place in nine project teams within the APEC Data Privacy Sub-Group . The Data Privacy Sub-Group is responsible for the overall coordination of the work and the implementation of the Data Privacy Pathfinder. Representatives of the governments of APEC member economies, as well as representatives of business organizations, trust marks and civil society are participating in the project teams . The Australian Privacy Commissioner, Karen Curtis, has announced that her Office will be working with the Department of Human Services (DHS) to help ensure that its service delivery reform incorporates privacy safeguards. The proposed changes were announced today by the Hon Chris Bowen, Minister for Human Services, and are intended to make it more convenient for Australians to deal with Government. "I am pleased that the Government is committed to establishing safeguards that give individuals control over their personal information, as part of the provision of ‘citizen-centric' services by Government," said Ms Curtis. "As the Minister has suggested, it is particularly important to respect individual choices about how their personal information is shared across agencies. "The early consideration of such safeguards will help to ensure that privacy is a key component in the design of service delivery reforms. The policies set forth in this document apply to Canadian Police Information Centre (CPIC) Agencies that are engaged with Third Party Companies for conducting name-based criminal record verifications. The policies are effective immediately and should be adhered to in conjunction with the CPIC Reference Manual. In instances where these policies conflict with the CPIC Reference Manual, the policies in this document shall take precedence. These policies are considered interim measures in response to breaches of CPIC policies and related federal legislation. Policies have been breached as a result of certain practices being undertaken by CPIC Agencies that are engaged with Third Party Companies for conducting criminal record name checks. In particular, criminal record information is being disseminated without confirming identity by means of a fingerprint comparison. A CPIC Agency must enter into an Agreement, as defined in the definitions section of this do/cument, with the Third Party Company for whom they are conducting criminal records checks. This Agreement must be submitted to CPIC for review and approval to ensure that the Agreement conforms to legislation, the Ministerial Directive on the Release of Criminal Records and CPIC policy. The CPIC Agency is not permitted to conduct criminal records checks on behalf of a Third Party Company until such time that the Agreement is approved by the Director General (or delegate) of the CPI Centre. Effective June 21, 2009, a direct query interface between CPIC and Interpol managed databases, located at the General Secretariat in Lyon, France has been implemented. Given that approximately 187 countries contribute to the Interpol data banks, this will allow law enforcement agencies access to information on thousands of persons of international interest, and to millions of records pertaining to lost or stolen travel documents. Vancouver - Demand for criminal background checks for employment has ballooned, growing 40 per cent in the last year, the BC Concessionaires, a security organization, said Wednesday.While the organization touts the growth in its business, the background checks have alarmed a leading privacy advocate, who says employers are sometimes needlessly invading people's privacy. Background checks are on the rise in part because of mandatory security licensing for certain professions, said Allen Batchelar, CEO of BC Commissionaires. But the organization has also seen growth in clearance checks among companies that aren't legally required to perform background checks, he said. Until the law changes, employers would have to justify the rationale for conducting such checks on such workers, Loukidelis said. B.C. law requires that employers collect the minimum information that is both necessary and relevant, he said. B.C. 's Human Rights Code also offers protection to convicts, prohibiting discrimination against job applicants "because that person has been convicted of a criminal or summary conviction offence that is unrelated to the employment or to the intended employment of that person." Viviane Reding, the European Commissioner who for the past five years has championed consumer rights in the telecommunications and IT arenas, has been picked to take charge of a re-write of the European Union's 15-year-old data protection laws due to start next year. Her most important achievement was the re-write of Europe's telecom laws. The so-called telecom package of laws was finally adopted last week after two years of often tortuous negotiations. In her new role as Commissioner for Justice, Fundamental Rights and Citizenship she will have to perform a similar modernizing task by bringing Europe's key data protection law, the 1995 data protection directive, up to date. If approved in her new position Reding, who comes from Luxembourg, will assume the title of Commission vice president, reflecting her seniority in the E.U. 's executive body. It will be her third term in office. Prior to the telecoms job, she held the position of culture and media commissioner under former Commission president Romano Prodi. Under-pressure privacy watchdogs are to get more cash next year after their boss complained they are working so hard the office is hemorrhaging staff. Last week, privacy commissioner Roderick Woo Bun said his undermanned office was on a "mission impossible" in trying to meet a target of answering all complaints within 45 days. And yesterday Secretary for Constitutional and Mainland Affairs Stephen Lam Sui-lung told the Legislative Council's public accounts committee more funding will be proposed for the Office of the Privacy Commissioner for Personal Data - including upping its reserves from HK$5 million to HK$9 million. "We will also consider amending the privacy ordinance that requires the commissioner to reply to complainants within 45 days," he said. "But we must consider public expectations on him before any amendment." New Delhi - India will become the first country in the world to issue a unique identity number for each of its residents from February 2011 which will allow an on-line verification, a top official said Wednesday. We will start issuing the unique number by February 2011, Nandan Nilekani, chairman of the Unique Identification Authority of India (UIDAI), said here Wednesday at a talk organised in the Parliament House Library. He said that giving a unique number to each Indian was a big challenge as UIDAI will make sure that there is no duplication. The project estimated to cost around Rs.30,000 crore will cover the entire population of the country. Nilekani said that biometrics will be used to prevent duplication and the authority will keep the same kind of information as is mentioned on voter I-card. We want to keep minimal information, he said, adding that there will be no invasion of privacy. Nilekani, who took questions at the end of his talk, said the country should formulate a comprehensive privacy law. The intentions behind the Personal Information Protection Law, which went into effect in April 2005, are good, but it has contributed to a tendency for organizations to withhold benign information that has significantly useful social value. Ms. Mizuho Fukushima, state minister in charge of consumer affairs, who has jurisdiction over the law, has rightfully called on the consumers' committee associated with the agency to review the law. The law, in principle, bars organizations that possess or handle personal information from providing it to third parties without the consent of the people concerned. But for various reasons — misunderstandings of the law, an overly cautious attitude or a desire to use the law to censor information — it has become extremely difficult to obtain personal data for relevant social reasons. The announcement by schools secretary Ed Balls that the number of people needing to be checked on the new Vetting and Barring Scheme has been reduced has been welcomed by the industry body, the Recruitment and Employment Confederation (REC). The Scheme aims to protect children and vulnerable adults by requiring any worker in ‘frequent’ or ‘intensive’ contact with either of these vulnerable groups, some nine million people, to register with the Independent Safeguarding Authority (ISA), with those not on the register barred from these activities. The checks will now involve only those working with the same children once a week, not once a month, for example. The Equality Bill has now been passed by the House of Commons and will progress to the House of Lords with an amendment which restricts the use of pre-employment questionnaires about health or disability during the recruitment process. The clause regarding pre-employment questionnaires aims to address concerns raised by disability organisations that, because there is no restriction under the Disability Discrimination Act, there is fairly widespread use of such enquiries by employers to discriminate against people who declared a disability by not selecting them for interview or other selection stages. The amendment means that an employer will be deterred from asking candidates questions about their health until after they have shown they meet some of the non-health criteria of a job. If an employer asks a question before this stage it may be found to have directly discriminated against a disabled candidate. If an applicant is rejected after an employer makes an enquiry that is not permitted, the burden of proof in an Employment Tribunal will shift to the employer. A new 'Easy Read' version of the Equality Bill has been published to help improve understanding of the Bill. This change in focus means that the screening of potential Approved Persons for regulated firms is under more scrutiny than ever before. The increased need to conduct pre-employment screening fully was emphasised in July 2009 when the FSA personally fined Richard Holmes of AIF Limited £20k. Mr Holmes recruited an Appointed Representative but failed to obtain appropriate evidence of the Appointed Representative’s competence and then failed to monitor the activities of the Representative. In announcing the fine, the FSA reiterated that: “Senior management at firms are responsible for the standards of conduct of the businesses they run”. We are adding ‘The International Screener Spotlight’ column. In this column we will feature one International Screening firms’ owner or executive. The column will focuse on helping clients and potential clients get to know the interviewee on a more personal level, beyond just your products and services, because ultimately people buy from people they know and can relate too. This is a value added service for our Platinum Members. Click here for more information about Platinum Membership. The program is also available to other international screening firms that are not members of our Platinum Club. To learn how you can participate in The International Screener Spotlight Column program please click here for more information. Take Someone Special To Dinner On ME!